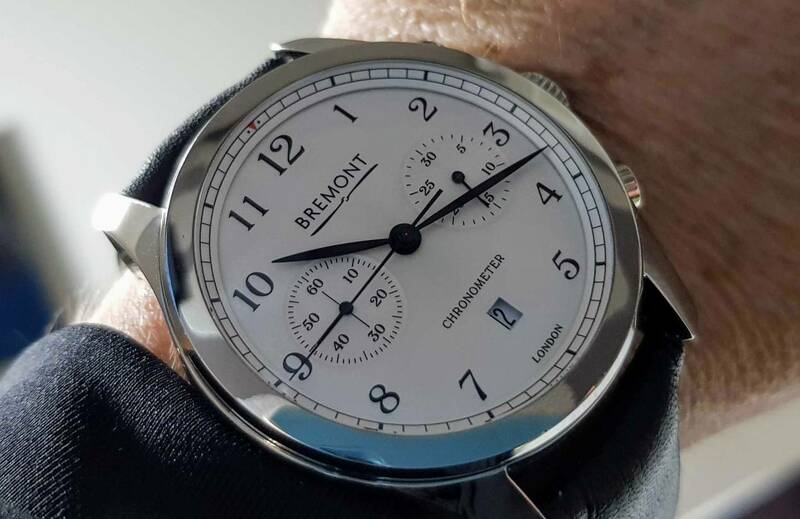 Sadly the Forums are full of bitter Bremont haters who cannot see past the Wright Flyer "Incident" and the advertising nor will they accept the fact that Nick & Giles and the Bremont team have achieved amazing results in such short time, or the RRP level that the watches are at. Having said that I don't like the advertising style of recent years - too wordy and clever for my liking when straight Product advertising works very well for other brands. As Bremont followers and lovers we have our own feelings and emotions about these superb watches or else we wouldn't be here. It's not all bad news, having so many haters on forums like TZ-UK..I managed to get this for £1950. After contacting Bremont, it was found to not yet registered so even got the COSC certificate sent too, along with luggage tag. Super watch Andy, enjoy it - and an amazing price too, I missed a good one there! Wow, a lovely watch for a ridiculous price, congrats! I was truly amazed by what followed the Wright Flyer 'incident'. Not the incident itself - which I didn't really see what all the fuss was about, just what followed with all the bad mouthing of the brand. I like the Wright Flyer watches, possibly not enough at their price point to buy one but they're great watches never the less. I do see an awful lot of comments about the prices of Bremont watches but that's for each person to make their own decision on. My own view and also that of another fan of the brand I know is that there's nothing quite like them both from a build and style point of view. I recently went to see a Breitling Premier watch and given it is at a very similar price point to a number of the Bremonts, after a moment of thought I wondered why I was even looking at the Breitling. I honestly don’t believe that Bremont were/are alone in receiving the sort of criticism they did after the Wright Flyer debacle. What I do think has had a lasting effect on the brand though, is the way it has stayed with them - still bought up on corners of the internet, often by people who don’t fully know the story.